Product prices and availability are accurate as of 2019-04-23 12:56:35 EDT and are subject to change. Any price and availability information displayed on http://www.amazon.com/ at the time of purchase will apply to the purchase of this product. 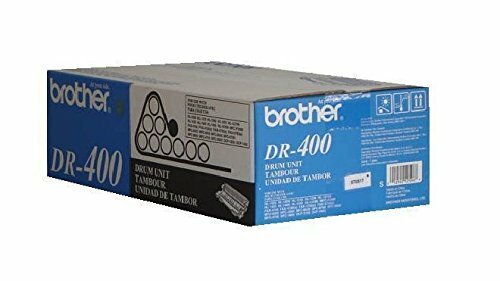 The Brother DR400 replacement drum cartridge works with popular Brother laser printers, fax machines, and multifunction devices to provide quality printing on a variety of papers and stocks. 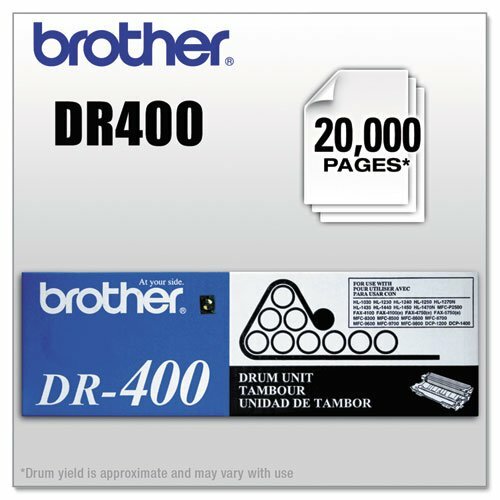 It yields approximately 20,000 pages. 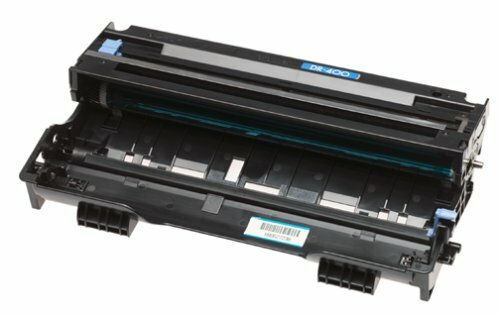 Compatible laser printers include DCP1200, DCP1400, HL1230, HL1240, HL1250, HL1270N, HL1435, HL1440, HL1450, and HL1470N. Compatible fax machines include IntelliFax 4100, IntelliFax 4750, IntelliFax 4750e, IntelliFax 5750, and IntelliFax 5750e. 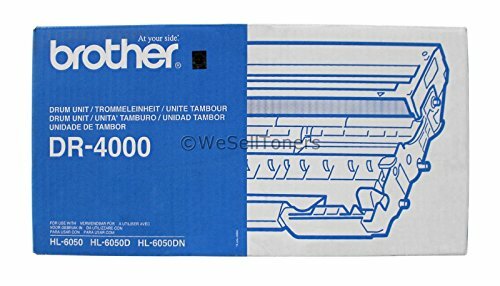 Compatible multifunctions (combination fax/copy/scan devices) include MFC8300, MFC8500, MFC8600, MFC8700, MFC9600, MFC9700, MFC9800, and MFCP2500.